Sometimes we are lucky enough to have someone at the right place, at the right time. Such is the story of a woman who was about to get robbed, but a street dog was there to witness everything and come to the rescue. 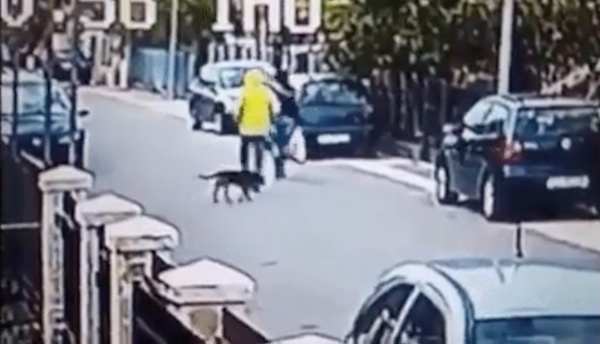 As you will see in the video below, the man wearing a yellow hoodie follows a woman who is carrying a lot of grocery bags. As she was is walking down the street, with her purse in her left arm, something happens to her. She seems completely oblivious of her surroundings and does not notice that she is being followed. The street dog, however, is completely aware. Next, the man in the yellow hoodie gets close to the woman and grabs her handbag. Unexpectedly, the street dog who was observing her from the very beginning comes to the rescue. He jumps and attacks the man, trying to save the woman from him. 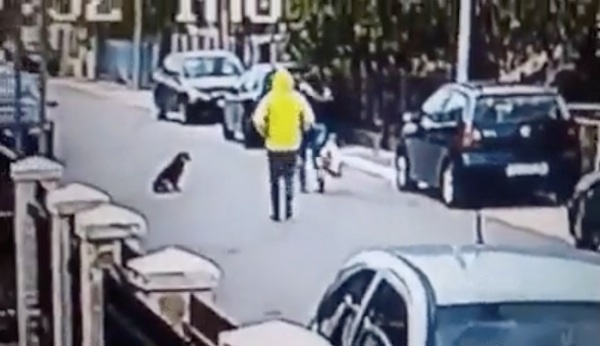 When the thief realized that the dog was more than he could handle, he tried to escape.